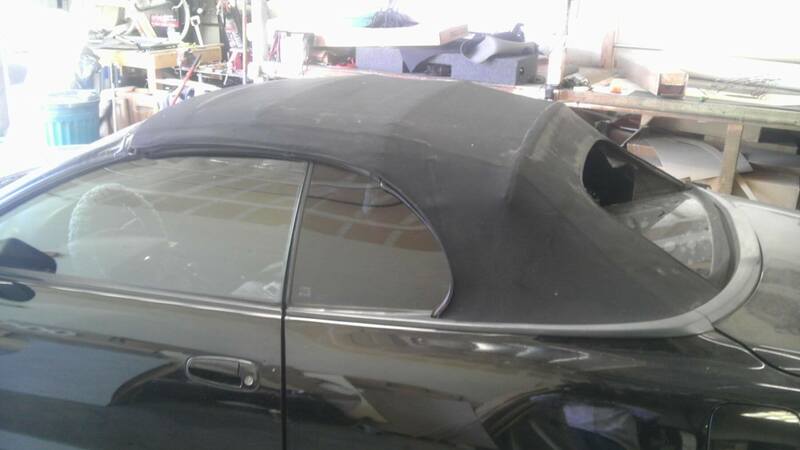 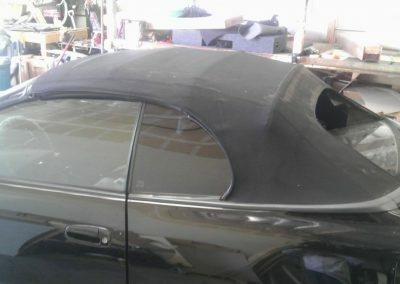 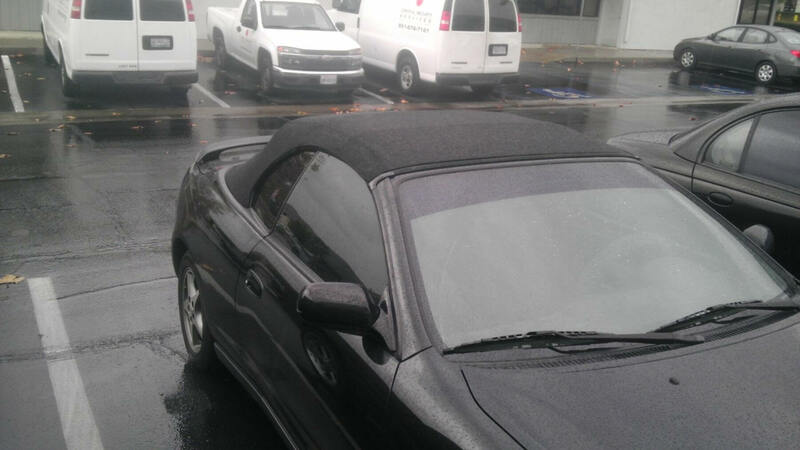 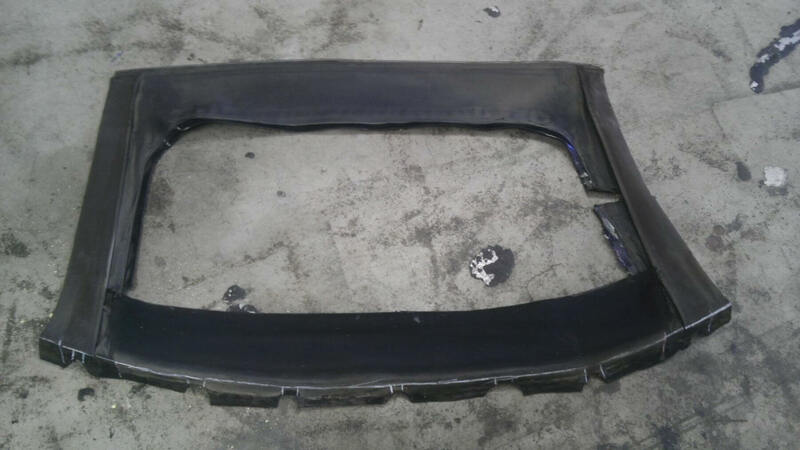 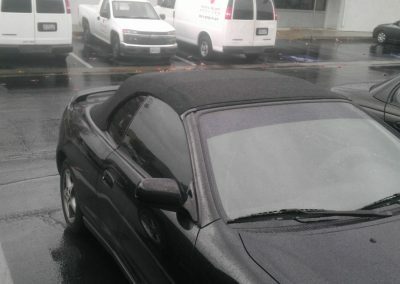 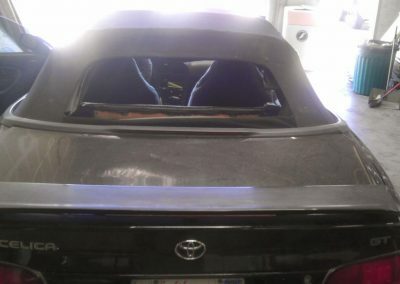 This Toyota Celica’s convertible top was old, torn and worn. 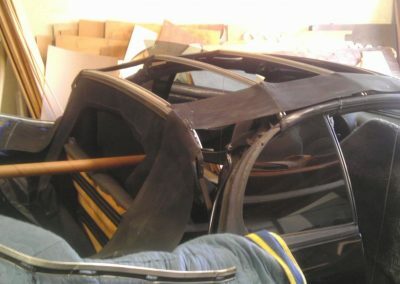 The rear glass window collapsed and was obviously not protecting the interior from water. 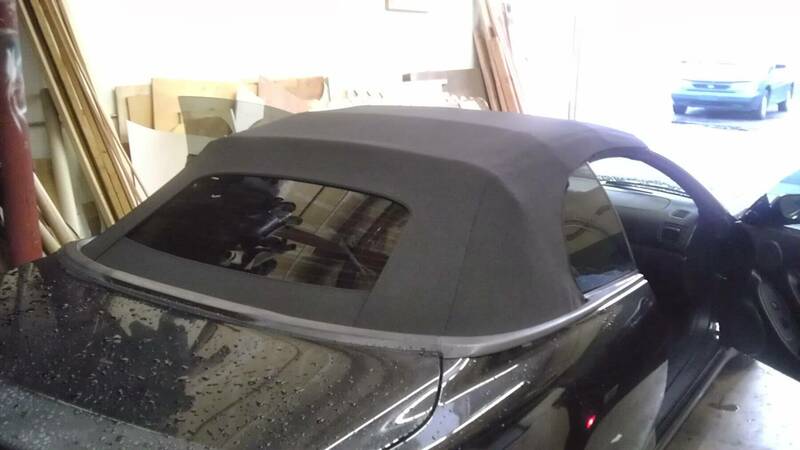 For this particular vehicle the design of the convertible is like most of the older model vehicles where the convertible top and rear glass window are two separate pieces, therefore if the rear glass window breaks the complete convertible top does not need to be replaced. 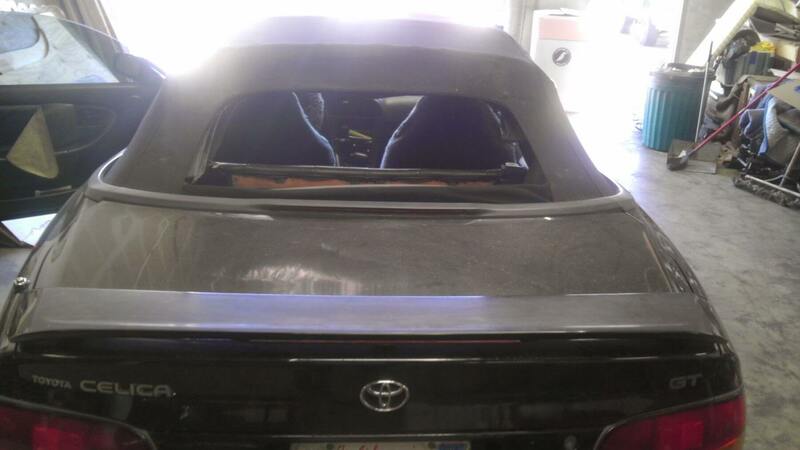 Vice versa if the convertible top is damaged the rear glass window can be re—used. 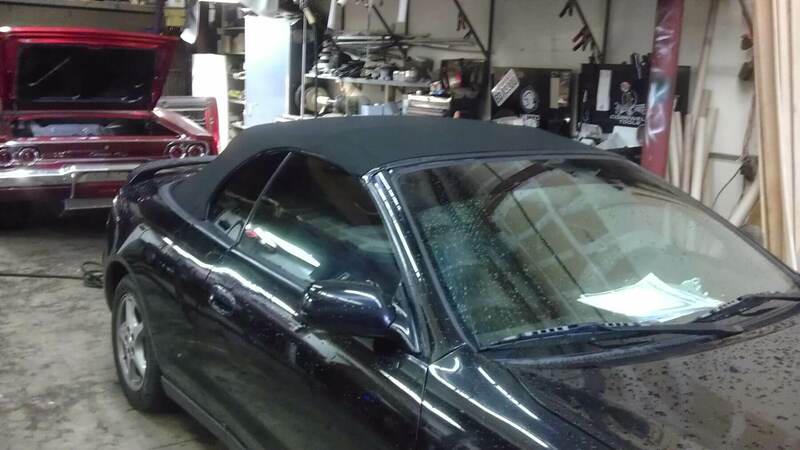 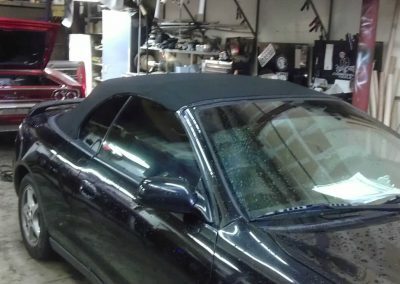 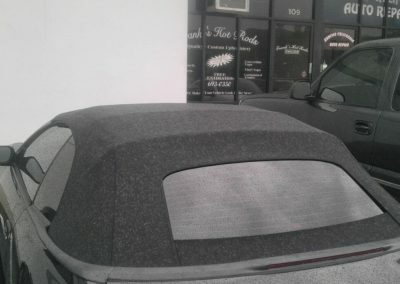 We replaced the existing convertible top with an aftermarket cloth top and rear glass window with heater defroster as original. 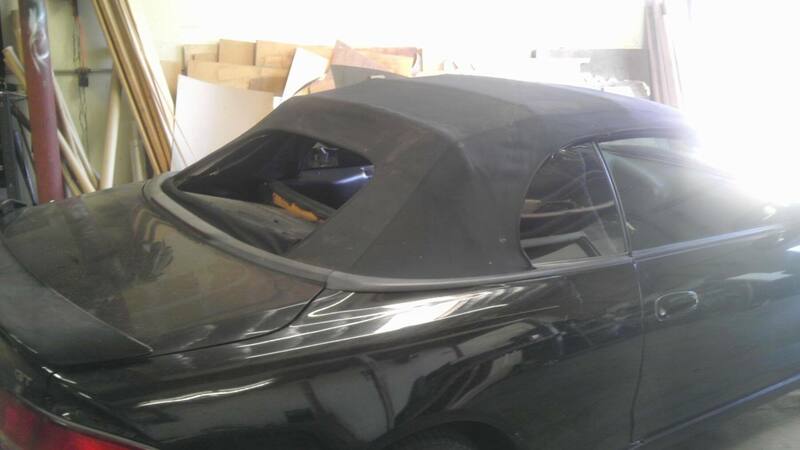 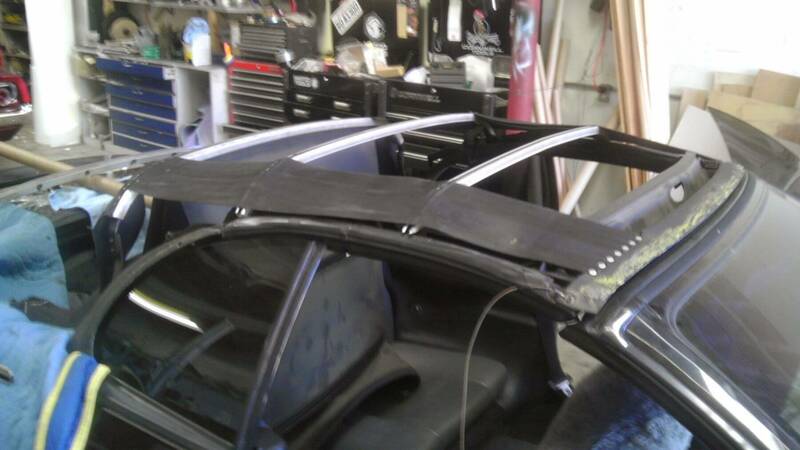 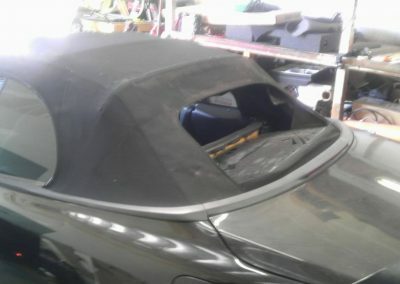 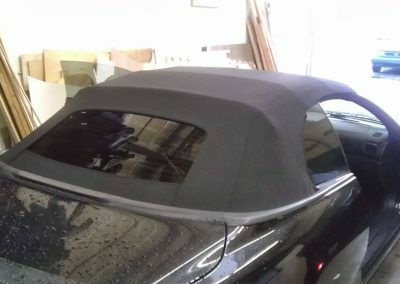 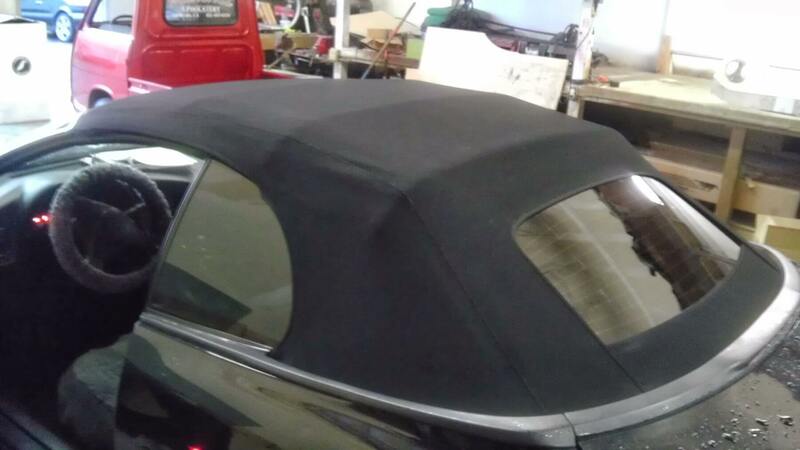 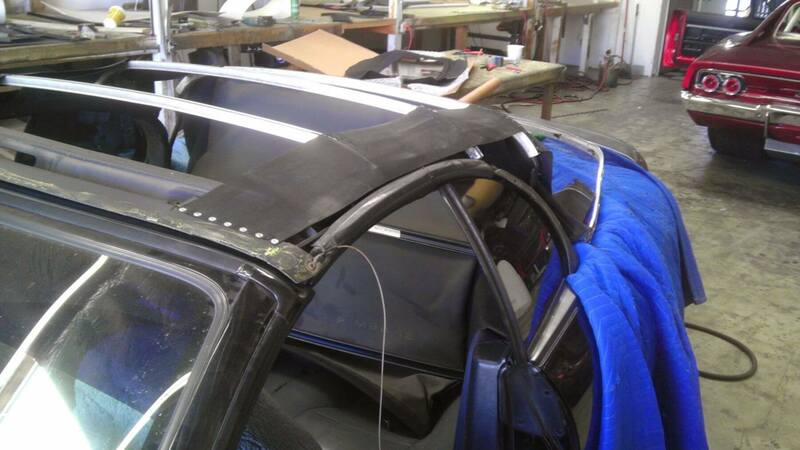 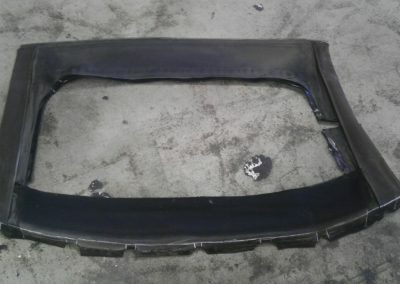 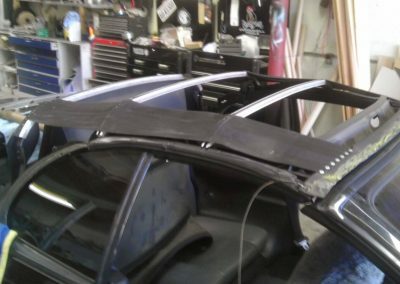 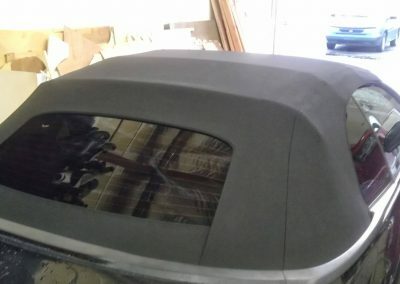 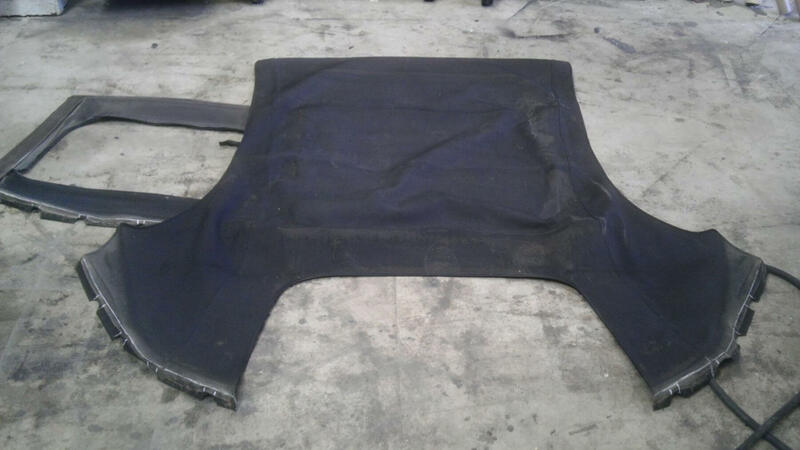 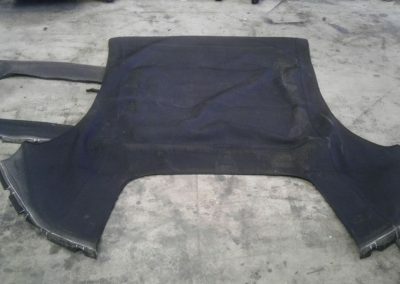 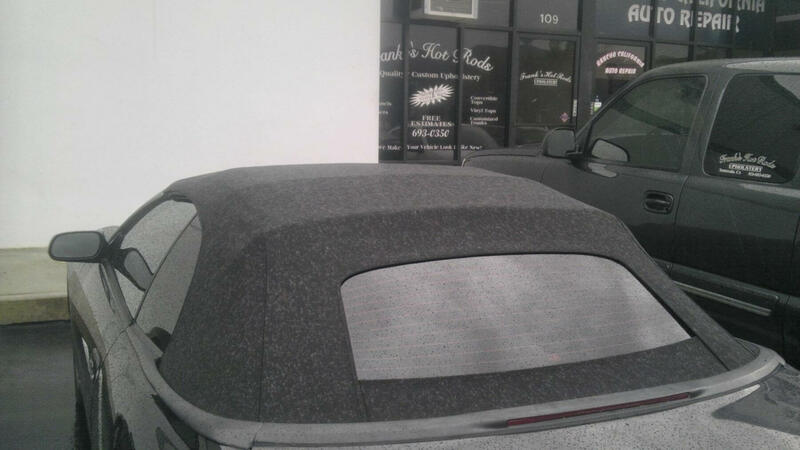 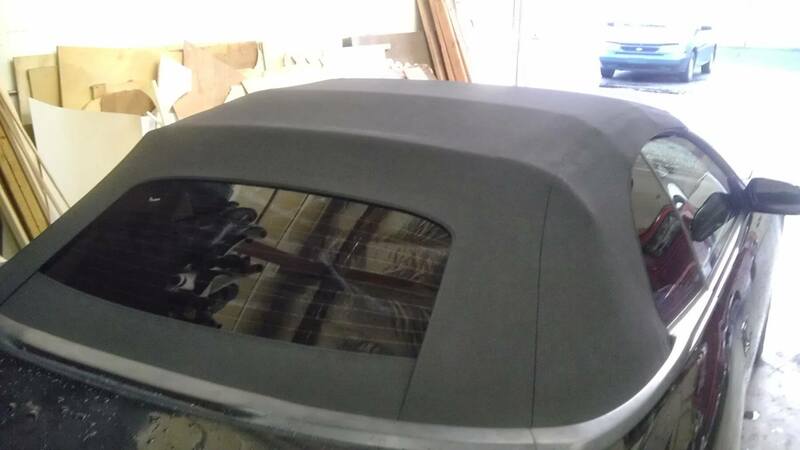 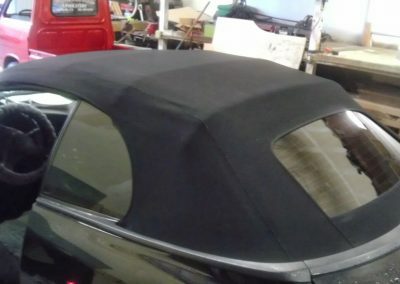 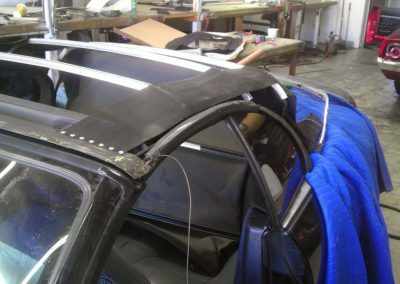 Below are pictures showing the original convertible top as well as the replacement in progress. 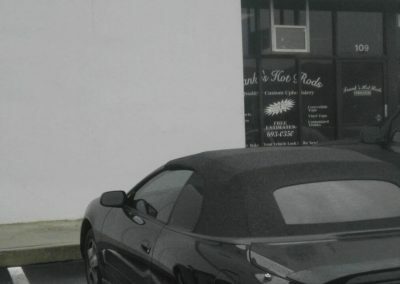 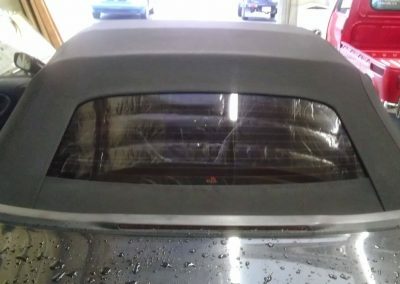 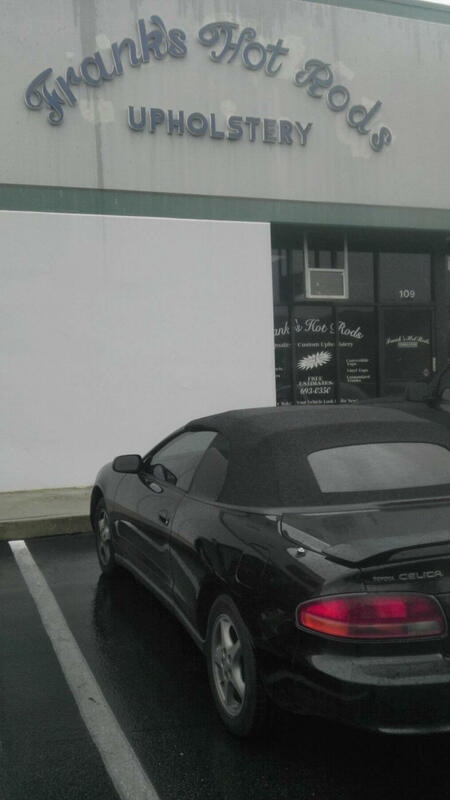 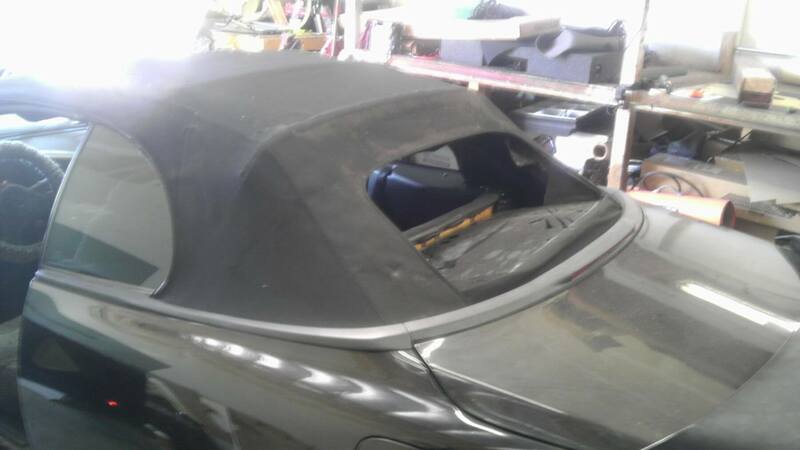 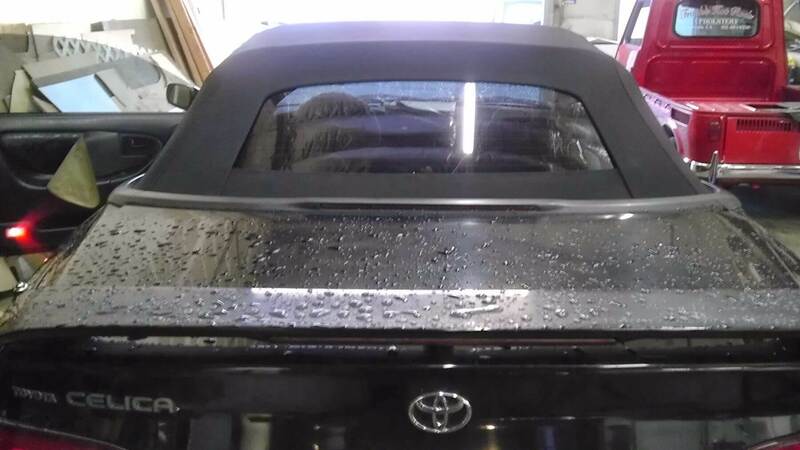 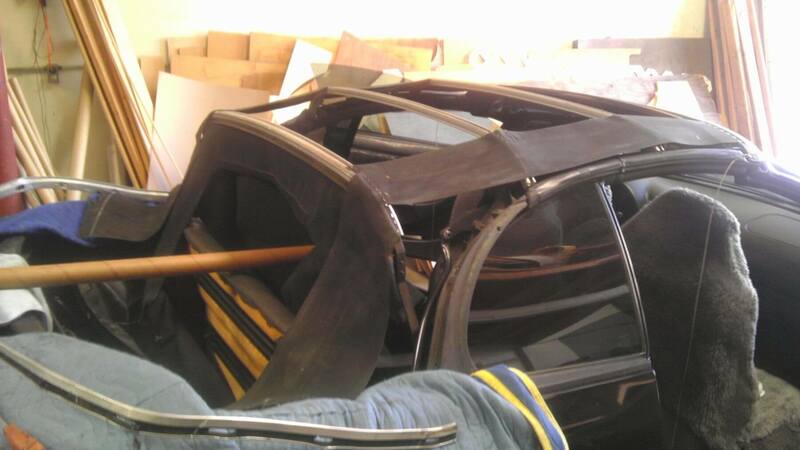 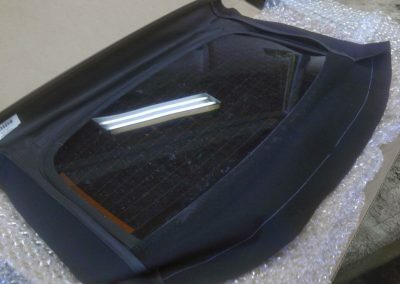 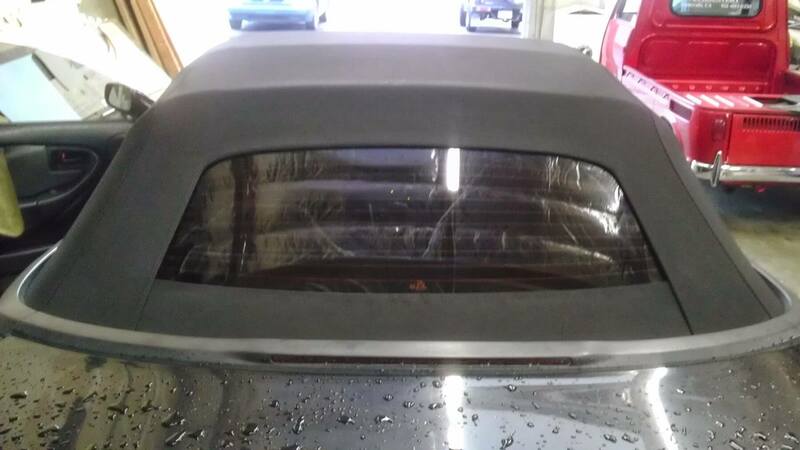 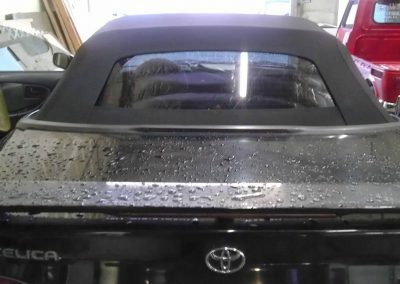 Pictures show how the convertible top and rear glass window are two separate pieces. 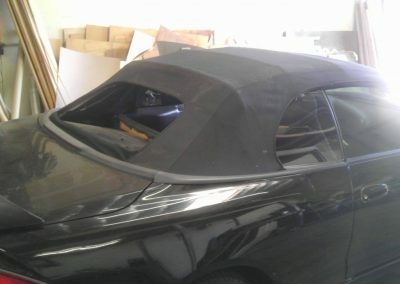 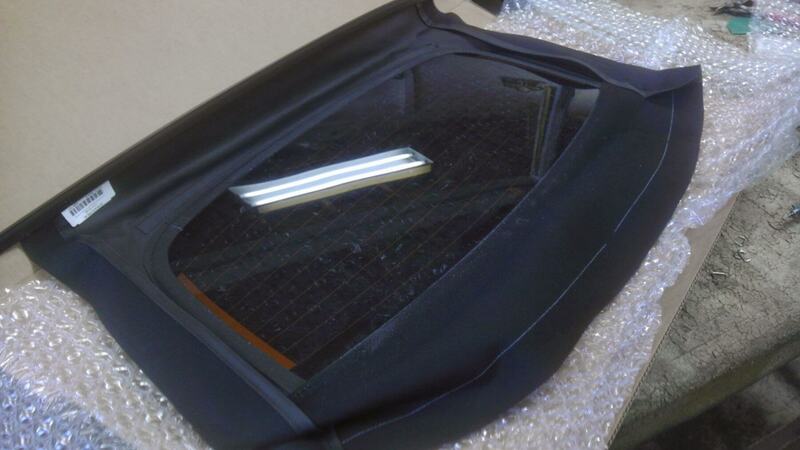 You can see what the convertible top and rear glass window look like before the installation.